Situated in the Southwest of England, awe-inspiring Wiltshire is a shining example of architecture present in the Tudor times. Still retaining much of its character and charm in the modern day, the variety of attractions and natural beauty makes Wiltshire a perfect retreat for a long weekend and a great choice for a staycation. Wiltshire is a county built on rich heritage, vibrant culture and the great outdoors. The focal point of Wiltshire has to be the magnificent and iconic Stonehenge. Not as recognisable, but equally significant, the Avebury ring is also nearby. Dating back to around 4,500 years ago, Avebury together with Stonehenge, forms part of the World Heritage Site. This gives you a good indication of the extent of wonderful history in the region. Travel back in time with a trip to Salisbury cathedral. Voted seventh in Lonely Planet’s Best in Travel 2015 and home to the finest of the four surviving copies of the 1215 Magna Carta, this is a wonderful experience for young historians and seasoned professionals alike. Looking for some adventure? Consider a day trip to Longleat Safari Park. At the UK’s number one safari park you can enjoy a combination of wildlife encounters, picture-perfect gardens and fun activities; there’s something for all the family. You won’t be disappointed with a trip to Longleat House either; with the unusual blend of modern art and period features. Wiltshire is in fact home to an enviable collection of gardens and stately homes. Whilst in the area, a trip to the steam museum of the Great Western Railway in Swindon or the Atwell-Wilson Motor Museum in Calne provides the perfect mix of education and enjoyment. If you fancy something a little more active take your pick from over 8,000 paths and walking routes. For the shopaholic in you, you’ll be spoiled for choice. If you are looking for designer brands, treat yourself to a wander round the McArthurGlen Designer Outlet in Swindon. The Wilton Shopping Village offers a more laid back atmosphere, set in a riverside location beside the famous Wilton Carpet Factory. Alternatively, for a more authentic and local shopping experience, a visit to one of Wiltshire’s markets shouldn’t go a miss either; Salisbury Charter Market proving to be one of the most popular. During your stay, you’ll also be amazed by the number of quality restaurants, pubs, cafes and tearooms nearby. Catering for your every mood, you can decide on a healthy lunchtime snack or an over-indulgent culinary experience. The choice is all yours.Whatever you decide to do, you’re sure to find your stay an incredibly enjoyable one. 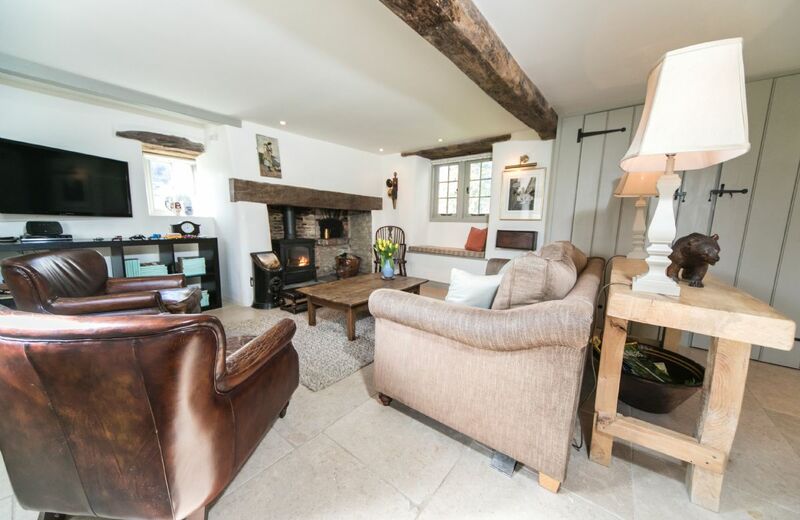 Now you can choose a relaxing holiday cottage in Wiltshire to act as your home for the stay and to relax in after a busy day out seeing the sights! Your search returned 7 matching properties. There is no mention of the social club next door which can be noisy particularly if the door is open. The seating in the lounge area is not great particularly the sofa which is in a very poor state. No DVD player . Internet: did not notice until mid week that a restriction applies to internet use by which time I had already used streaming quite a lot. A comfortable holiday stay in well-furnished accommodation on the edge of a picturesque and historic part of Wiltshire. Communications at the cottage were poor: the telephone accepted (occasionally) incoming calls and there was no mobile reception. This 17th century Grade II listed property was originally a farmer’s cottage but has now been modernised to meet present-day standards. 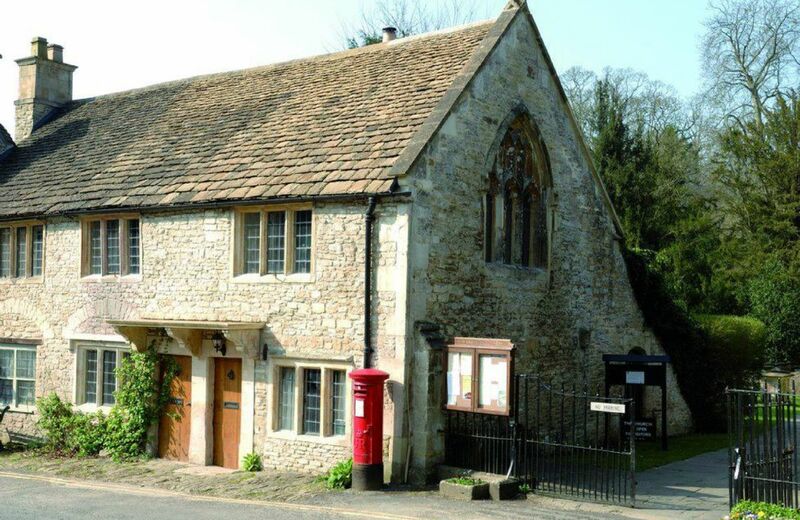 It is centrally located in the attractive village of Lower South Wraxall, 3 miles north of Bradford on Avon. It is a very comfortable cottage with all that is needed. The landlord makes you very welcome. It was the hottest day for 40 years and I think the addition of a fan would be very helpful for the future. Quite a well placed location for exploration of the area. Clean and well presented though the cottage lacked privacy (it is adjacent to a busy stud) and had no real private 'sitting out' area, a facility which we have enjoyed in many RR locations. The property is also approaching the need for a maintenance review. The majority of the internal door catches did not engage and we felt the security of the property was not reassuring enough given that we were leaving our possessions for whole days at a time. Bathrooms, particularly the showers, are behind the standard we have encountered elsewhere. Will soon need some improvements to stay up to date with RR average. Stable Cottage was really comfortable and cosy during a very cold week in February. The welcome hamper was very generous. The cottage was well stocked with cleaning products, dishwasher tablets, washing up liquid etc. The WiFi connection was excellent. We would definitely recommend it to friends and family. We had all the amenities required, warm and comfortable. The welcome pack was not as comprehensive as we usually receive but otherwise OK. Despite the property being cosy we found the decor and furnishing to be very tired. Whilst the owner was friendly he should not ask guests if they have broken anything. Thank you for your comments which we will pass on to the owner. Cottage was nice but the welcome hamper lacked the local produce we've come to expect from Rural Retreats. All supermarket prepackaged goods, very boring. The place could have been a little cleaner, but nothing major. Our second stay at Stable Cottage,always enjoyable!!!! Beautiful cottage in a lovely location. Had an amazing break. The cottage was pleasant and comfortable inside. The owner was friendly and helpful. Welcome basket was rather sparse. The exterior was not very attractive and the grass area would not be very suitable for sitting out. Yes the owner called us when we arrived and was very helpful we have stayed many times with Rural Retreats and have enjoyed all of our stays. Very clean, very comfortable and well maintained. Another stay hopefully planned for later in the year. We felt this property fell a little short of the normal standard that we have come to expect of Rural Retreats and therefore seemed overpriced. The layout suited us perfectly but we felt that some areas were not quite as clean as we would expect (sofa covers for example) and we weren't particularly keen on the carpet in the bathroom. Some of the kitchen equipment was of poor quality. Stable Cottage offers ground floor accommodation in the lovely village of Milton Lilbourne in the heart of rural Wiltshire. The village is a no through road so it is extremely peaceful. Bath is 35 miles, just over an hour away. For holidays taken between 22 April 2019 And 31 May 2019 Minimum of 3 nights booking. Lovely cottage in a beautiful location. 5 minute drive to Bradford on Avon with wonderful restaurants, cafes and shops. Absolutely beautiful cottage, immaculate and gorgeous bedding. Perfect garden for sitting chatting with friends until the early hours. Wow, what a wonderful review. Thank you so much. Very well presented property and in parts unexpectedly chic. Would have given 4 1/2 as we were provided with wrong key box code but Hannah came to the rescue. Probably the best RR property we`ve stayed at and there have been a few. Thank you for your perfect feedback for The Ottery. The property was lovely in every way, but needs new saucepans! Gorgeous well equipped cottage in an idyllic situation. Beautiful kitchen and bathroom and pretty cottage garden. We also enjoyed warm sunny weather and were able to open the French doors onto the patio and eat outdoors. Perfect! 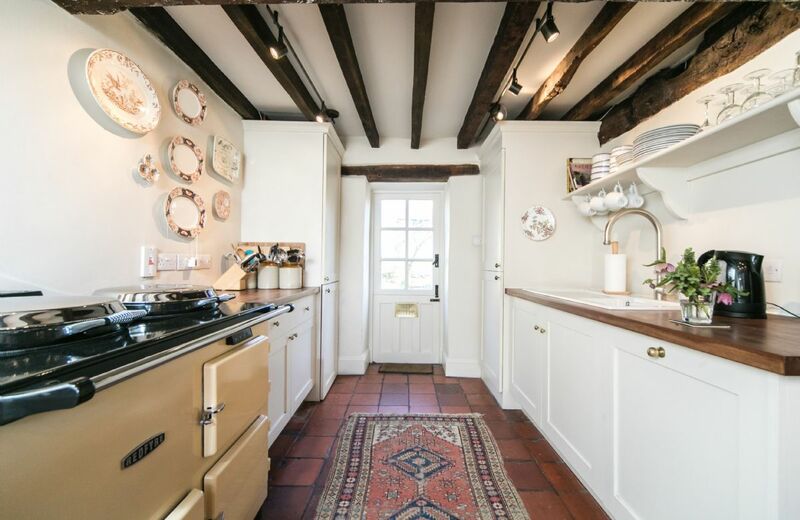 This beautifully restored 18th Century cottage is situated in the attractive village of Lower South Wraxall, just 3 miles north of Bradford on Avon. It has recently undergone extensive renovation, retaining many original features including beamed ceilings. Really nice cottage, well fitted out with 3 good en-suite bathrooms. Parking is limited so really only suitable for one car. In heart of the village close to great village shop and pub. Beautiful cottage, lovely welcome pack. Two small problems arose but were dealt with immediately and without fuss. A really great stay. Why cannot I complete this questionnaire without adding another 13 characters? I’ve given it 5 stars. Das Haus, die Umgebung, die Ausstattung waren super. Wir habend en Aufenthalt sehr genossen. Vielen Dank für Ihre netten Kommentare zu unserem besonderen Anwesen Little Maunditts. Helpful owners. Well appointed property in a delightful village. Excellent hamper on arrival. Would highly recommend. We were very pleased with our choice of Little Maunditts Cottage for our family holiday in celebration of my 60th Birthday. 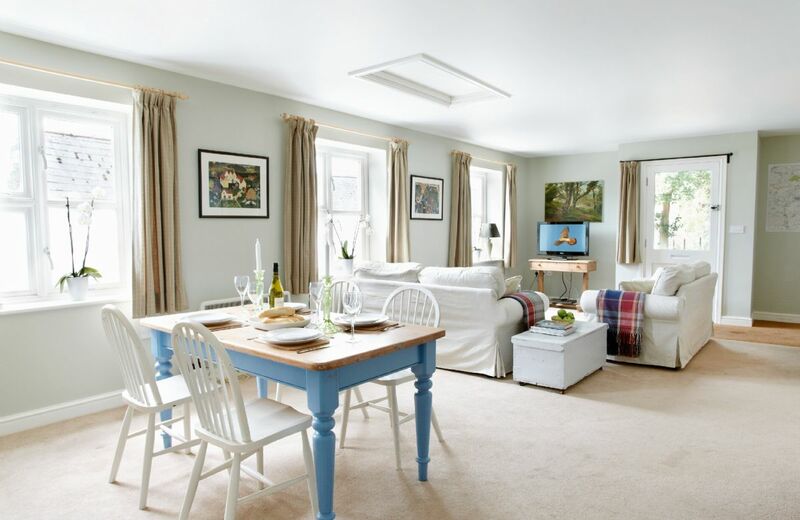 A charming cottage, fantastic for a family holiday. It was as described on the website and exceeded our expectations. Well equipped, tastefully furnished, comfortable and very clean. Good welcome basket, fresh bread and delicious home-made marmalade. The owner Laura was very helpful, also provided excellent suggestions of places in the area to visit. Friendly villagers. Enjoyed a delicious Sunday roast in The Rattlebone Inn. The Angel Hotel served up wonderful breakfasts. The village store was well stocked, open every day early and into the evening. 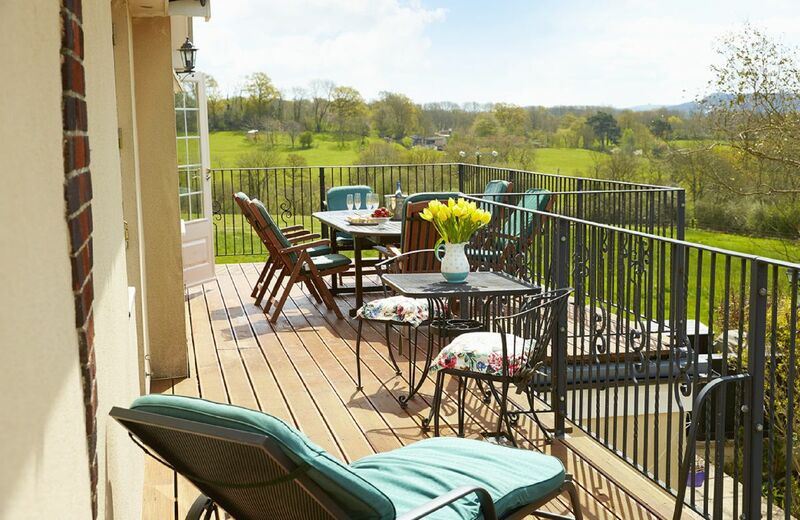 Wonderfully placed for The Cotswolds, Bath, Bristol and touring Wiltshire/Gloucestershire. I would definitely recommend and hope to return. Thank you Laura, we had a truly special and memorable time. What a wonderful review, thank you so much. I am so pleased you had such a special stay at Little Maunditts and many congratulations on your 60th birthday. It was a beautiful quirky cottage in a lovely village, with lots of facilities. This cottage, particularly from the outside, gives an impression of a lack of care. The garden is overgrown to the extent that we had to push our way through wet plants that hung right across the path in order to get to the door. Items that were needed were not there. In the literature we were told that both TVs had DVDs attached. One did not and when we pointed this out we were brushed off. The 'Welcome Basket' was full of items that no one in there right mind would consider using. Raspberry leaf tea! Cider flavoured with cloves! Elderflower cordial and a bottle of water! Also the bread was totally inedible. As a regular and, usually very satisfied customer, we were very disappointed. If this is R-R moving down market perhaps we will re-consider next year's holiday. Thank you for your feedback. We are so sorry that you weren't happy with Little Maunditts particularly as it has always been a favourite of our guests and had wonderful reviews. We will adjust our information regarding the DVDs and pass on your other comments. Beautiful property, garden is quite small but pretty. Parking is difficult to manoeuvre for a large car. Excellent cleanliness, good hospitality welcome pack. Village and location is good. Another great review for Little Maunditts. Thank you so much. Lovely cottage in a great location. The cottage was very clean and comfortable and the rooms were light and spacious and attractively furnished. The welcome pack was excellent and we had everything we needed. Lovely cottage with everything we needed. Great welcome basket. Thank you for your lovely review of Little Maunditts. Superb accommodation in every respect. Lovely furnishings and decor, all beautifully clean. Added touches of toiletries in the bathrooms and the excellent "welcome" hamper etc in the kitchen made this extra special. 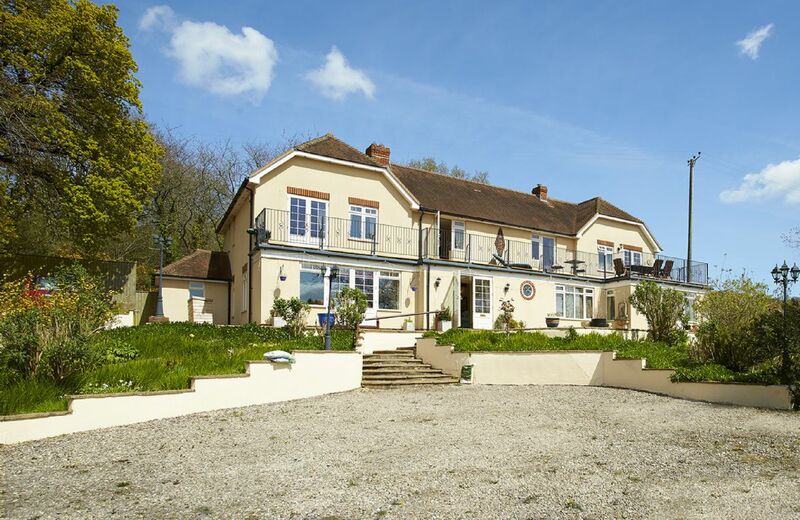 This was a great holiday home for enjoying our get together with our sons for my 60th birthday; ideally based for our visit to Highgrove gardens. Thank you for your feedback. We are delighted that you were so pleased with Little Maunditts and that your stay there contributed to the enjoyment of your special birthday. Welcoming, comfortable and well-equipped. Lovely peaceful village, handily placed for plenty of outings and/or a restful break. Special mention to the Community Shop which seems to have every requirement covered, with a smile. Excellent overall but a few minor irritations as usual when you are living away from home. Rural Retreats have never disappointed us. Excellent food hamper. Lovely and clean and well equipped kitchen. Very nicely decorated for the Christmas holiday. The cottage was extremely comfortable no very well equipped. (Although a sharp knife would be useful!). Standard of cleanliness and welcome hamper was outstanding. Thank you. This sympathetically restored barn has the charm of an old building but with the benefits of all modern facilities, whilst being tucked into a quiet lane in the historic village of Sherston. 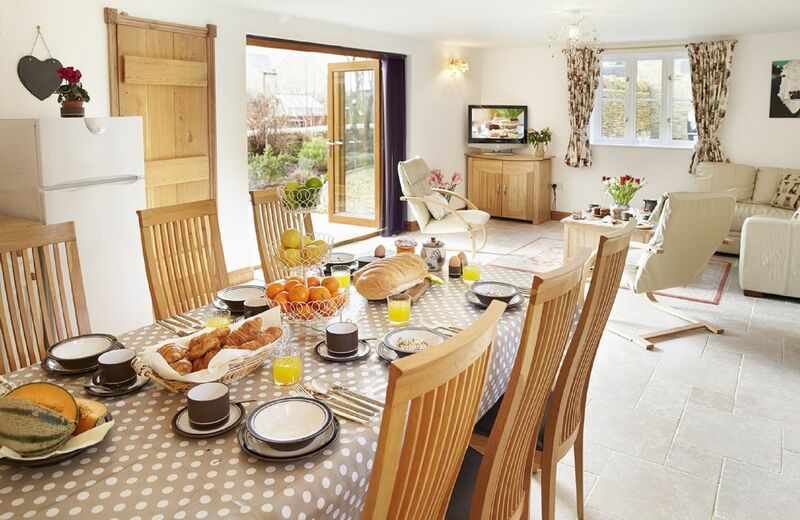 A perfect base for exploring the area, just five miles from Malmesbury and the National Arboretum at Westonbirt. The property benefits from three double bedrooms, all of which are en-suite (so no squabbling over the best room!). Beautiful cottage, clean and picturesque village! Dreamy! Very easy instructions as well! Superb. Exceeded all expectations. Many wonderful personal touches, cozy beds, great showers and tub, storybook village. Right out of a fairy tale. Alyson was a great host and everything went as smooth as could be. Thank you so much for your wonderful feedback. Pro's: "It is not often one gets the opportunity to live in one of these properties even if it is only for a short period. It’s a wonderful experience to imagine what it would have been like 300 years ago. What makes it special is the village setting. All of f this made up for the niggles as noted below. The cottage is comfortable and was a great base to explore the area. It is important to know the cottage does not have any outside space. " Cons: "Just a few niggles if sorted would make it perfect. They may seem petty but in this property bracket these are not expected. Fridge freezer controls not working so food froze solid in the fridge, dishwasher did not clean properly, microwave temperature control did not seem to work, the iron was missing the control knob, the ironing board cover was paper thin marking the clothes and there were no sharp kitchen knives. There were quite a few cob webs around which is to be expected but not when they are thick and have been there for sometime and in the front windows. Something that is not easy to resolve is car parking which is not readily available by the cottage it has to be on the access road to the village or the dedicated free car park for the village at the top of the hill, about 5-10 mins walk." Upstairs with beds excellent. Sitting room very dark and gloomy, could have been better lit. Web photo of sitting room misleading in brightness and visible fire, actually closed up metal doors. Leather suite very old and springs gone. Nowhere to sit outside and parking impossible at weekends except almost half a mile up very steep hill. Kitchen very well equipped but totally dark owing to ivy all over windows.We will be more careful in future about photos. Value very poor. The Gates is such an old cottage with parts of the property dating back to Medieval times. We have tried to reflect this in our description of the cottage and for many guests the historic nature of the property has been part of its charm. I am very sorry that you felt misled by the photos and that you were confused by the wood burning stove in the sitting room. I will of course discuss the ivy and the suite with the owner. The atmosphere in the house is cosier than you could possibly dream of! You have everything you need, even fresh eggs and bread to start your next day! The Gates is set in a storybook. 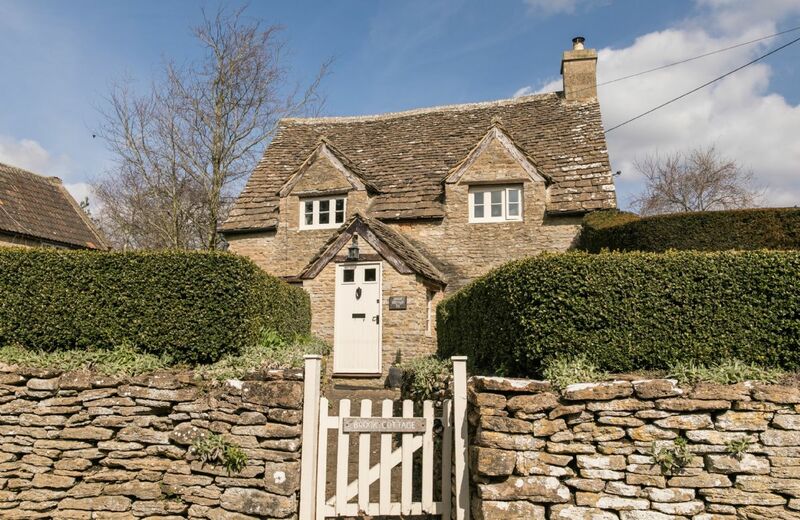 Located in the main square of Castle Combe, a picturesque village that has played home to many notable movies, you wake up to views of the stone church behind the house and the two local pubs right out front. The cottage itself is completely updated with modern appliances (including an AMAZING rain shower) while maintaining its original charm. Wood beamed ceilings, a vast fireplace in the living room, and the stained-glass windows in the master bed room are just a few of the details that will make you think you have traveled back in time. Alyson and her husband were perfect hosts—going so far as to ship a load of laundry back to Germany when it got stuck in the wash! Thank you for everything. The Gates was clean and well equipped. Interesting rooms though all the modern conveniences were there. 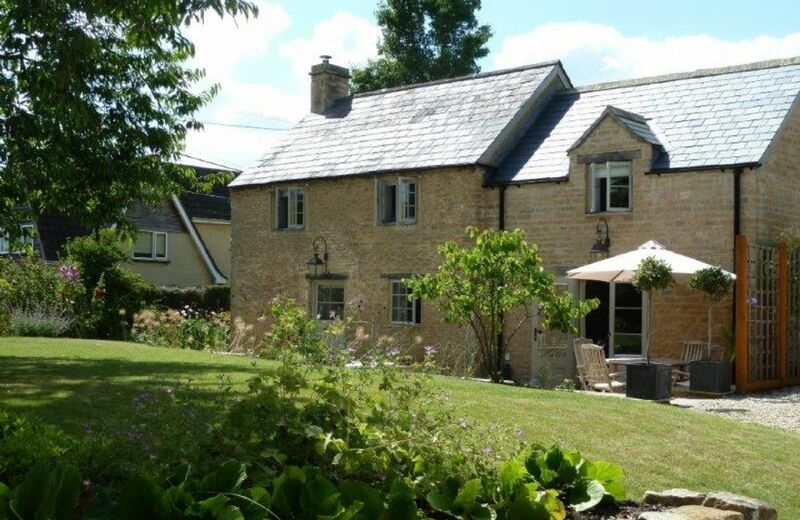 Lovely cottage in the romantic village of Castle Combe -immaculate clean-. Many movies were filmed here e.g. WarHorse, Dr.Doolittle. I have stayed in many VRBO properties and have been a prior innkeeper. I know the effort it takes to elevate the details to a high level of perfection. Everything about this property was suberbly executed from the welcome/instruction notebook to the beautifully equiped and organized kitchen and the impecable housekeeping. Thank you for making our stay in Castle Combe feel like a fairy tale! Wow what an amazing review for The Gates. Thank you so much - we are delighted that you had such a happy time in Castle Combe. The Gates is a beautifully restored and sensitively updated historic home. Furnishings were refined, comfortable and well selected. The kitchen was particularly well equipped. Two very nice pubs were literally across the street from our front door, but the village was perfectly quiet at night. Castle Combe is absolutely lovely and an excellent base for touring the Cotswolds. We enjoyed a fantastic circuit walk of approximately six miles right from our front door, and we left the walk description in the Gates information book in kitchen for use by future guests. On our last night, we had a wonderful, memorable dinner at the Bybrook Restaurant in the Manor House Hotel (a 3 minute walk) to celebrate my mother's 85th birthday. All in all, a fantastic visit. What brilliant comprehensive feedback for The Gates. Thank you so much. Thank you for your perfect review of The Gates. The cottage was well equipped except for the living room which was cold, dark with uncomfortable chairs. Also on reflection we underestimated the intrusive nature of tourists in the village and the noise that was generated each morning by delivery vehicles in the market square. The cottage was very clean Most of the pots and glass needed washing before use.some of the serving dishes were chipped. The double bed was uncomfortable. The King sized bedroom had a beautiful stained glass window but no curtain, which made the room very light and also made it lack privacy. The free standing bath was in the same room and as the room overlooked the hotel we were not sure if we could be seen by the hotel guests so did not use the bath. Immaculate! We are 4 ladies, celebrating a reunion after 40 years , all semi retired with very high expectations. We were not disappointed! Any minor problems were rectified immediately, very thin walls so the neighbor did complain about our chatting. Good facilities. Very clean and tidy. A hand towel in the ground floor wc would have been helpful. The Gates is amazing! We couldn't believe the modern amenities in most of the interior - what a creative renovation. The only thing we could have asked for is better lighting for reading in the lounge. The room tends to be dark. We decamped from the 'main' bedroom - as others had reported, the light coming in the dramatic stained glass in the window is a bit too much - but fortunately we were able to sleep in the twin-bedded room. We loved this cottage - the location, the amenities - it was great! This historic property is set in the idyllic village of Castle Combe, which has been voted England’s prettiest village. It is perfect should you wish to relax and go walking, yet it is only a short drive from Bath and Bristol. We loved our time at the Old Stables...everything was neat and clean and lots of space for 6 adults. The kitchen was very well equipped, which was great as we did prepare several meals ourselves. It was great to have walks right from the doorstep or within a short drive, and to be so close to Bath, Lacock and Castle Combe. Corsham is a beautiful village with nice restaurants and pubs. All in all, we had a lovely Christmas staying in the Old Stables! Spacious accommodations, modern amenities and secluded location. The cottage was excellent and just as advertised. It was well equipped for 8 people and an excellent location for our needs. The rooms were clean, comfortable and modern. Thank you for making our stay so enjoyable! The smaller 2 bedrooms were too small for adults, Always hitting head. 2 larger bedrooms had very hard beds & pillows. Very obviously a holiday let, not any personal touches. A wonderful place and a great time. We had small ongoing problems with the gates not working. Lovely place. Perfect for families with a fabulous enclosed grassy area ideal for playing. Beautifully kept and very well equipped. This was our second visit! We have just spent a long weekend at The Old Stables. What a fantastic house - spacious, very clean, well equipped for every eventuality, lovely location. We would definitely recommend it. The only thing that let us down was the local pub doesn’t do food on a Monday night. We had looked on the website to make sure, walked up there in the rain and cold and no food. When we mentioned the website the barmaid said the landlord ‘doesn’t really do social media’! We had to go back out in the car to get dinner - very disappointing. That was the only negative thing about the weekend, we had a wonderful family get-together - we will definitely be back! We did find it quite difficult to find and had to phone the owner to give us directions. It was not easy to see the numbers on the key pad by the green gates. We found the mattresses were too hard for us in the two double bedrooms. The lighting in the lounge needs to be improved; good reading lights should be provided. 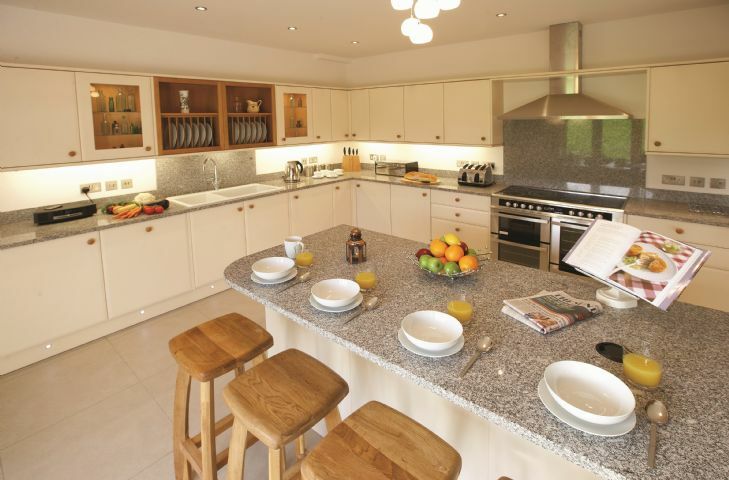 Otherwise the kitchen was superbly equipped and the furniture was to a very high standard. Fantastic property; very well equipped with plenty of space for 2 families. Great outside space - sadly underused due to the weather! Perfect location for exploring Bath, Lacock, Corsham and even Stonehenge! I am so sorry that you had some housekeeping issues when you arrived at The Old Stables. The Old Stables always has wonderful reviews and please be assured that this is most unusual and very much a one off blip. The old stables was a great place for our family to have a celebration get-together. A great location, great facilities, very clean, plenty of space. The outdoor area was perfect for our small grandchildren. Worked so well. What a lovely review. I am so glad you had a wonderful celebration. The cottage was very welcoming, cosy and we really appreciated the welcome basket. The living room is just wonderful for nice evenings with friends and the rooms are high-class and comfortable. Finally the kitchen was very inspiring: perfectly equipped and simply stunning. Thank you for your lovely feedback. 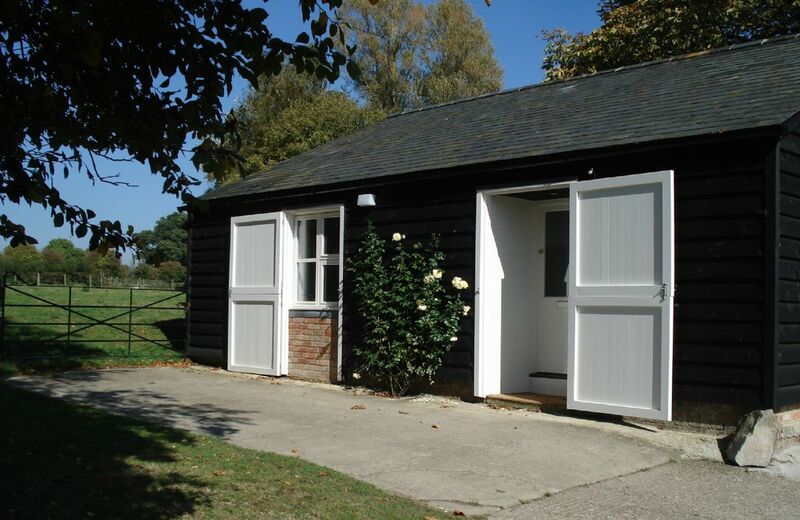 the Old Stables is well furnished, very clean and very well equipped. an excellent holiday cottage in a good location. The property is excellent a real home from home! The children loved the open space and games provided and the adults enjoyed indulging the luxurious food hamper. It is an excellent location for visiting Bath, Bristol, Stonehenge and Longleat. There is a supermarket near by and although the village pub changed hands the week we were there, they were very accommodating and the food was basic pub grub! The only thing lacking in the property was flat oven or pizza trays for the oven! Thanks for a lovely stay!! This wasn't the 15 seconds! Alll was great thanks! A lovely house with everything you could need for an enjoyable break. 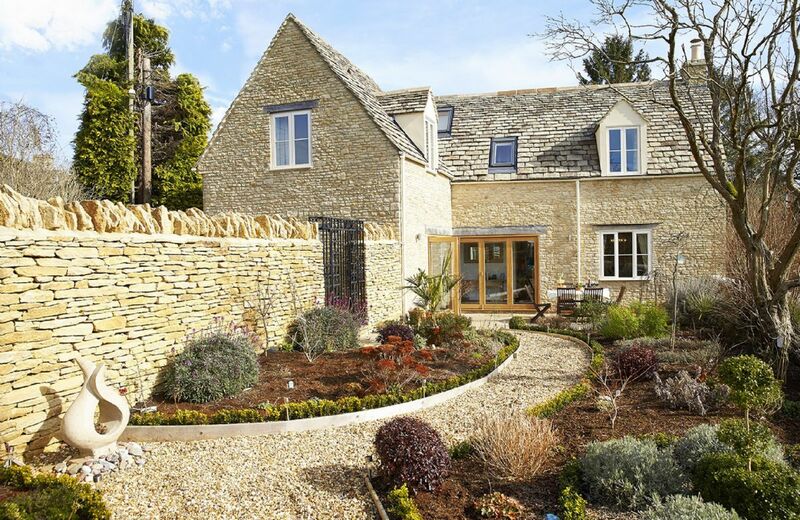 This charming detached, stone built converted barn lies within an acre of private garden in the village of Gastard near Corsham. The Old Stables is located within easy reach of Chippenham, Bath and Bristol for those looking to explore during their stay. Ideal for family gatherings, the property offers indoor and outdoor games to keep the children entertained. Very comfortable large house perfect for our family celebration. Kitchen/dining area is very good and well fitted out with crockery cutlery, pans etc. We cooked for 12 on Friday and Saturday evenings without a problem. Comfy beds and decent shower. Large outdoor area which could do with a little care and maintenance. We had an issue with one of the showers but were able to repair it, and the owner contacted a neighbor who came by to check it was sorted. Best equipped let we’ve stayed in - welcome from Leslie was great and huge kitchen/dining area made socialising so easy. Also ratio bathrooms to bedrooms was very good and no trouble had been spared in making the place clean, warm and welcoming - we would be rebooking now except that our numbers have increased for next year and we already needed two extra beds. Very comfy, lovely place to stay. The home provided everything we needed for a most memorable weekend. There were many problems - the house was not ready for us when we arrived. In places it was not clean and the dishwasher, oven and showers were not working properly. We would not go back. Our sincere apologies again for all the problems that you encountered at Underwood House. Flies in one of the bedrooms which suggests something is rotting in there. Furnishings are tired and bed linen not that great. Could not control temperature on 2 of the showers. Outside patio needs a clean. I have stayed at several Rural Retreats cottages which were fantastic and so it may be that my expectations are too high - but I would say that this place was slightly disappointing compared to others that I have stayed at. Sorry! Wonderful property! Could not have been better! We were greeted by the owner who made us feel very welcome in this beautiful, comfortable and well appointed house. We lacked for nothing and had a super weekend. Where to start? The owner lives in the property and it was full of her stuff, multiple rooms and cupboards locked, shower and jacuzzi bath not working properly. The carpets covered in rugs, 50 of them dotted throughout the house. Garden furniture stored in the hallway, and outside hadn't been tended to for months. All external flower tubs and hanging baskets full of dead plants and the gardens totally overgrown with another hoard of stuff on the patio covered in an old torn blue tarpaulin and decking on top. Frankly, it was awful and nowhere the usual standard of Rural Retreats. We were really disappointed and then annoyed that this property was even regarded as rentable. The owner was still cleaning when we arrived at just gone 4pm and she didn't leave until 6pm when we helped her to load up her car. Simply not good enough! 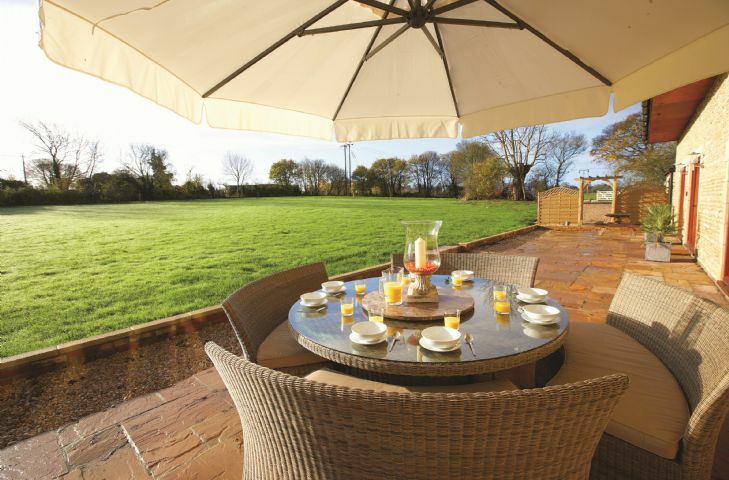 Quietly situated in a small hamlet, this south facing modern country manor offers light spacious and comfortable accommodation for guests to relax and enjoy. In an area of natural beauty, the secluded house nestles in its own five acre meadow. For holidays taken between 11 April 2019 And 31 May 2019 Minimum of 3 nights booking. For holidays taken between 1 June 2019 And 30 June 2019 Minimum of 3 nights booking. For holidays taken between 1 July 2019 And 31 July 2019 Minimum of 3 nights booking.